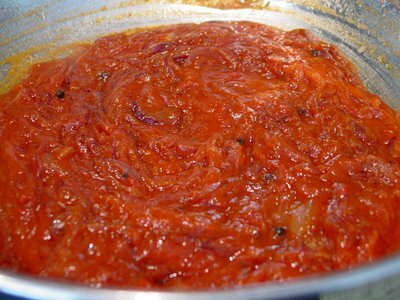 After having been asked by many folks just what fry till the oil leaves the masala / mixture / pan means in Indian recipes that call for an onion-tomato base, I figured a primer is in order. Well, to begin with, the oil is not going anywhere, so rest easy. It's just a literal translation and what it means is that you need to have sweated the onions (and/or tomatoes) until most of the water content has evaporated and you are left with a fibrous mass, and the oil in which it was being cooked separates and spreads out to the sides of the pan. 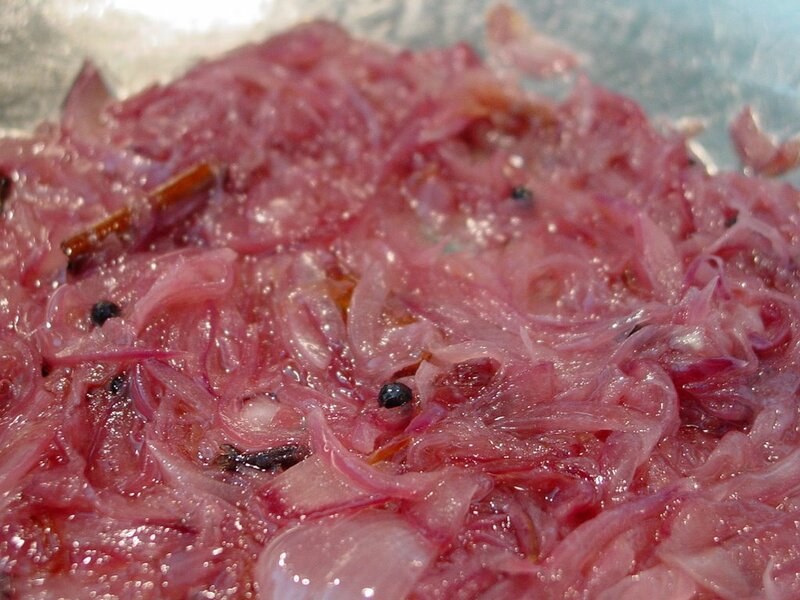 Start your onions in oil, as much as the recipe calls for. Next, sweat the onions until there is next to no moisture left in them. If you do this on low to medium heat, it could take well up to half hour. 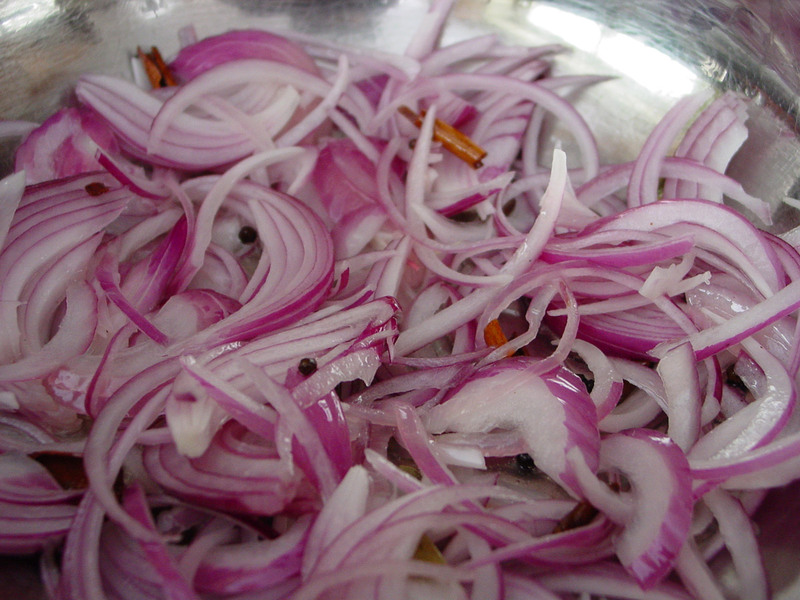 On high heat, you are essentially sautéing the onions and you need to make sure that the onions don't burn. Add your tomatoes. 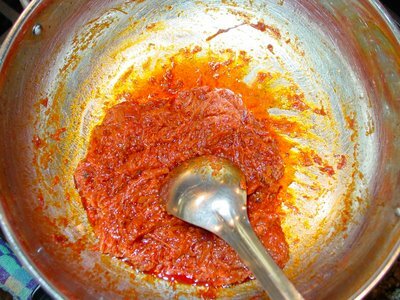 In the picture below, I have used tomato paste and some water to wash the tomato paste out of the can. No waste policy! i would eat that with rotis, pics looks so appetizing. Shankari, that's exactly what I do! I steal some of the masala - it tastes heavenly with the ginger-garlic, garam masala and whole spices - and have it with rotis or even a slice of brown bread! 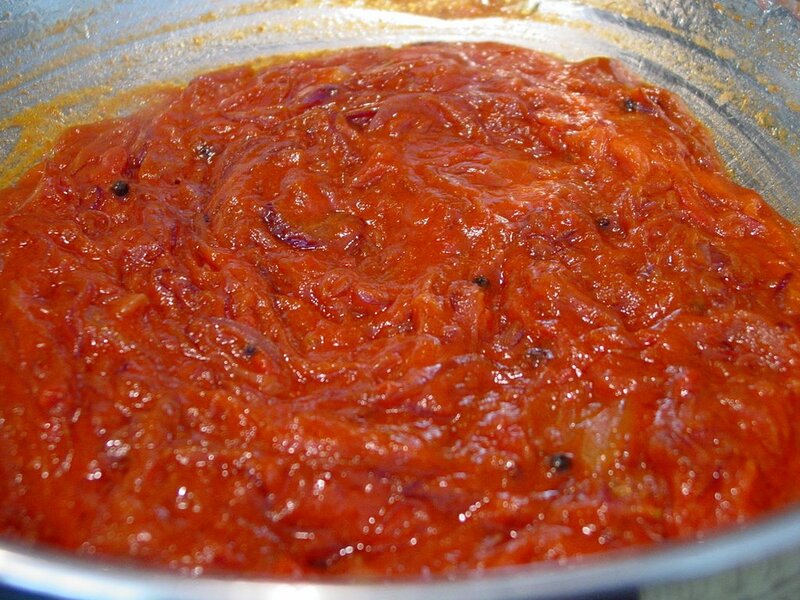 The other day I boiled some eggs and floated them off in this onion-tomato based sauce. I just love it, too! Good post...I think it would be the best chutney for Idli's or rotis for a long road trip, because the oil in it will keep the chutney fresh for a long time. My In-laws are here in US visiting us, so my hands are full right now ..:). I do not find time to sit and browse, now and then I just take a quick look around the blogs..Iam preparing for a nice dessert receipe whenever time permits..will post it real soon. by the way, just noticed your new blog layout..Its very cool.keep it up. Shilpa, when I made this, I froze half the masala. I pulled that out today and added some chicken to it and adjusted the spices. It was the quickest chicken curry I have ever made. Sumi, I was wondering where you were! I can imagine how busy you must be. It's a great time of the year to have family visit you in Chicagoland. I just saw this picture of the Chicago skyline and boy, did you folks have a glorious weekend! Hmm! Now that's a great thought. Make this masala as a chutney for idlis or parathas on a long road trip. Which reminds me of my no mess cooler. That might be something you may want to try on any road trips you take with your in-laws. I hope you have a great time with them and do post your dessert recipe as soon as you get some time to yourself. I have your blog on my RSS feeds. And, thanks for the compliments on the new look! 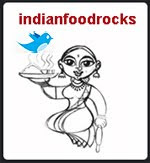 Manisha, thanks for the illustration. Whenever I am posting a recipe, I try not to use the term 'till the oil leaves', as I felt I couldn't explain the concept well enough. But from now on this post is going to be my reference. Very impressive demonstration. Good job !!!! Wow! That is a good one. Hey I came to tell you that somebody was asking about a mother's day card here. Check comment #5 by Latha. I think she is talking about the mother's day card you posted sometime ago? I am eagerly checking your lemon pickle updates. I wish I had the patience to do that. Didn't you mention in the original recipe that some people boil this pickle to avoid sun cooking? Can you tell me how? I am attracted by the spice ratio in your recipe. But you won't get me to wait 2 months. :) Maybe while I enjoy the stove cooked pickle, I will make another batch for cooking in the sun as well. Thanks in advance. Can you give me the name of the detox book ? RP, thanks for letting me know about Latha. I will let her know or post on Mythili's blog. I should have another update on the pickle this week. It's been very hot for the last couple of weeks and the pickle has been getting about 12 hours of cooking in the sun. I opened the jar last week and hot vapors hit my face. The jar has also been too hot to carry in so I let it cool for a few hours before bringing it in. From the taste and the feel of the lemon peel, it's very close to being done. I think the Colorado sun at this altitude (we're a mile high) has a lot to do with the rate at which this is progressing. It's only been about 3 weeks! Let me know if you try the stove-top version as I would like to know how long it took for the lemons to cook. Revathi, yes prawn curry sounds good, too! The detox book? From this post? It's Jane Scrivner's Total Detox. Gini, I know exactly what you mean! Therefore this post! Thats called attention to detail.